Experts have launched an initiative to reduce the number of patients who die from infections acquired while they are in hospital. It is thought that many lives could be saved if doctors starting using appropriate antibiotics to tackle infections at an early stage. However, approximately 30% of patients receive inappropriate antibiotic treatment for their hospital-acquired infection (HAI). And research suggests that up to 90% die as a result. Part of the problem is the bacteria that cause HAIs are becoming resistant to current drug treatments and doctors are not keeping pace with a constantly evolving situation. Not only does inappropriate treatment cost lives, it also places a significant financial strain on healthcare systems. Now international experts in hospital infections have joined forces to set up the Academy for Infection Management (AIM) to raise awareness of the problem. They believe by spreading good practice it should be possible to dramatically improve survival rates, reduce the time spent undergoing antibiotic therapy and length of stay in hospital and bring down healthcare costs. Dr Marin Kollef, Chair of AIM and Associate Professor at the Department of Internal Medicine, Washington University School of Medicine, St Louis, said: "Growing antimicrobial resistance and inappropriate antibiotic use has lead to a crisis in hospital infection control. "These infections are a serious problem and have severely impeded our ability to fight disease resulting in thousands of unnecessary deaths. "The problem is going to get worse unless we radically change our prescribing practices. 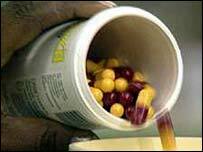 Doctors need to recognise that the antibiotics they select can impact whether a patient lives or dies." A recent study involving 2,000 intensive care unit patients found the death rate for infected patients who received appropriate antibiotic therapy at an early stage was 17.7%. Among those who received inappropriate drugs the death rate was 42%. A second study of patients with blood stream infections found appropriate treatment cut the average length of hospital stay from 11 days to nine days.